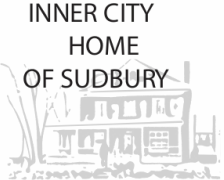 "Inner City Home Sudbury is an excellent model providing high value food along with significant referral services to other public assistance agencies and some counselling and life skills workshops at no cost"
The statistics and rating was compiled through Success Markets Inc. for Charity Intelligence Canada. Success Markets "ICHOS is a particularly high performer among emergency relief type organizations"
-(typically below $4000 annual income including public assistance) and who are often in crisis. -"excellent model" of how a large volunteer base can be deployed effectively based on skill, experience and commitment levels. -known as the "agency of last resort" for clients, who have exhausted all other options. -It provides that care with "an unusually personable and responsive style". During 2013--1218 clients were assessed for Life Skills and Hospitality Workshops. Of these people, 10 per cent did end up in a course and some 168 agencies were worked totally1035 clients. Of those assessed, 99 registered, 55 attended, and 44 graduated attended a total of 7 workshops. Much of this value comes from the $50 or so in food given to an average family at an overhead-loaded total financial cost of around $25. For every 1 in 50 clients the timely provision of food helps avoid a particularly tragic crisis--death, violence or other criminal activity or health impairment. Those in need in Sudbury would often knock on the door of a south-end parish of St Patrick's RC Parish, seeking a little food such as a sandwich, as well as a listening ear--someone they could tell their story to. But tragedy ensued as one individual fell through the cracks and died. This led Fr McMillan, then parish-priest to move his parish to open a centre where people could be treated with dignity,have their story heard, and access basic necessities and counselling. ICHOS opened its doors in 1986 in a older home in the original core of the city which held Sudbury's downtown.